Auditions will be held at AMP. If you are unavailable on that date, please contact Jill Dillingham (ampplayhouse@gmail.com) to arrange for an earlier audition. Be prepared to sing a one-minute song and to either read a one-minute monologue and/or read from the script. We will provide accompaniment for the songs in the musical. If you want accompanyment for something else, please leave the sheet music at AMP at least 5 days before. A capella auditions are discouraged. The Tony Award winning musical, set on a Pacific island paradise during World War II, follows two parallel love stories which are threatened by war and prejudice. Nellie, a spunky nurse from Arkansas, falls in love with a mature French plantation owner, Emile. And Lt. Joe Cable falls in love Liat, an innocent Tonkinese girl. STRONG ENSEMBLE CAST includes US Navy Nurses, Officers, Sailors, Marines, and Pacific Islanders. 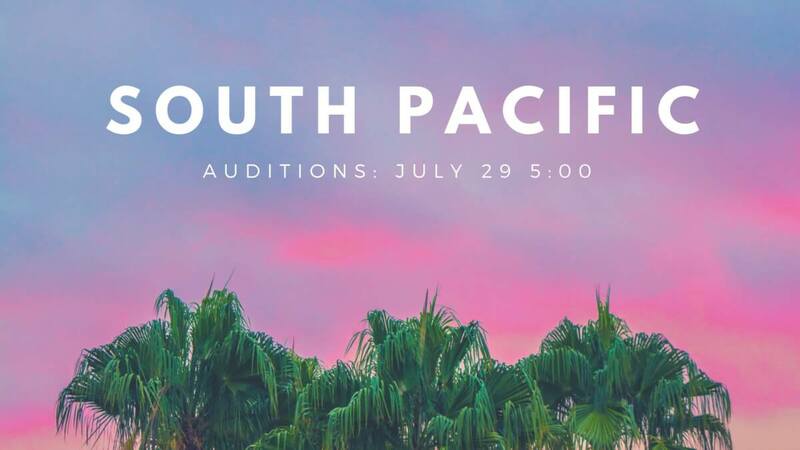 Multi-ethnic, Asian, Black and Latino actors are encouraged to audition.